« Milestone: Our son graduates from Preschool with Ace and Christi w/ 2 awards! Come to the OMF Lit Bookshop on March 12-14 and enjoy big discounts! 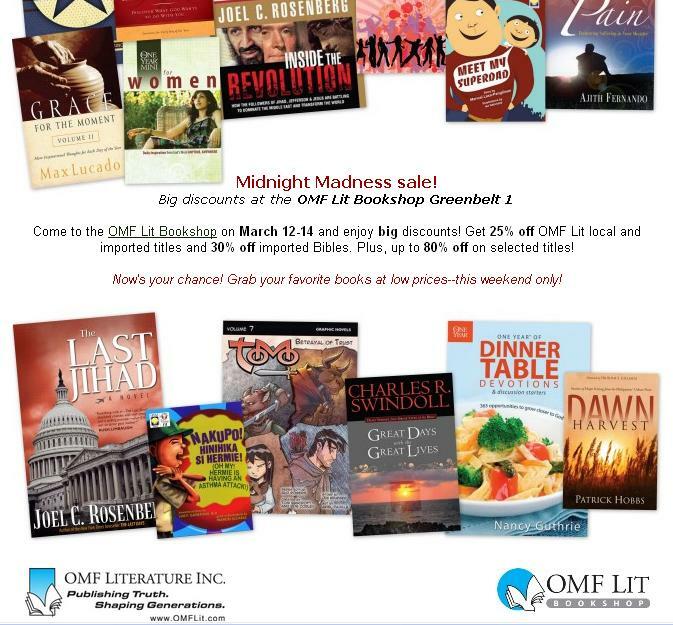 Get 25% off OMF Lit local and imported titles and 30% off imported Bibles. Plus, up to 80% off on selected titles! Now’s your chance! Grab your favorite books at low prices–this weekend only!